And it is all happening on the doorstep to Norway, company representative Bjørn Gundersen said during today’s Arctic Frontiers in Tromsø. The Russian natural gas company sent a Norwegian citizen to present its grand Arctic projects. Bjørn Gundersen is a former project manager for Arctic Solutions and Executive Vice President of Kværner. Now, he is the Deputy Director of Novatek’s LNG Projects Department. He has key responsibilities for the Russian company’s major projects in the Arctic. On 8th December last year, Novatek and partners officially launched the Yamal LNG project. And more is in the pipeline. According to Gundersen, Novatek has sufficient natural gas resources in the area for an additional 3-4 similar projects. 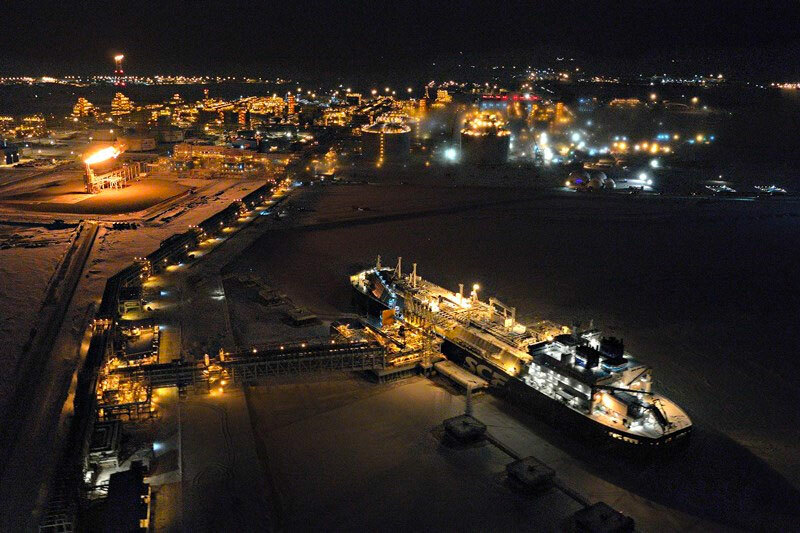 First in the line is the Arctic LNG 2, the project which will be developed in Gydan, on the wide-stretched lands along the right banks of the Ob Gulf. «We are a small company», Gundersen said to the audience in Tromsø. «But these projects are making us go global», he underlined. Both the Arctic LNG 2 and other future projects will lean heavily on Novatek’s new plant in Murmansk. Here, in Belokamenka on the western side of the Kola Bay, is quickly emerging the company’s plant for construction of LNG platforms. The Kola Yard will be instrumental in building so-called gravity-based structures (GBS), which can be towed to the shallow Arctic waters and used as production platforms. 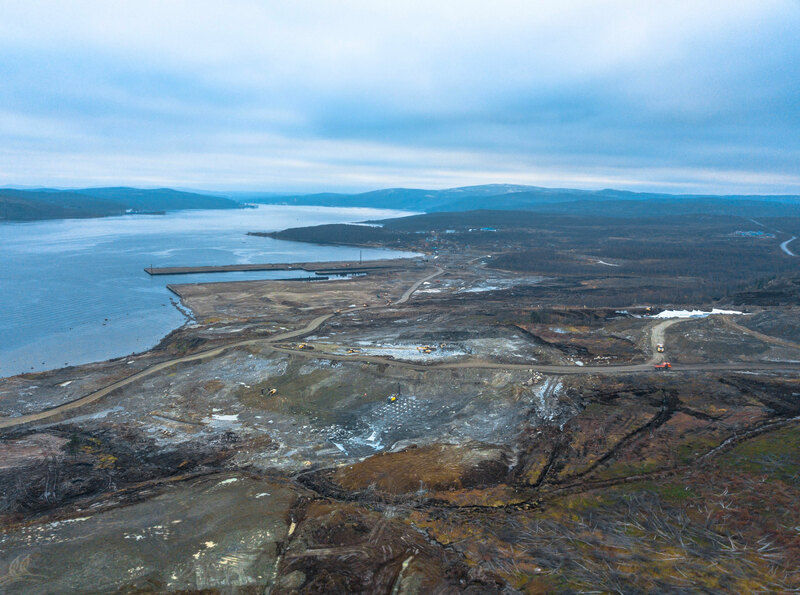 As much as three million tons of rocks and soils have already been removed from the construction site in Murmansk, Gundersen said in his presentation. Construction works on site started in August 2017. According to the Novatek representative, the Kola Yard has been under planning for four years. Novatek is engaged in a comprehensive project cooperation with foreign companies. Among them are Technip, Linde, FMC Technologies and Saipem. Also Norwegians are involved, the Novatek representative confirmed. But the potential is far bigger. «There are huge opportunities for Norway and Norwegian companies,” he said. «It is all happening on the doorstep to Norway,» he underlined. According to Gundersen, Murmansk is now becoming the «biggest oil and gas development area in the world». The Arctic LNG 2 is to be ready for production by early 2023. It will be based on three project trains each with a production capacity of 6,1 million tons. Natural gas resources are based on the nearby Salmanovskoye and Geofizicheskoye fields, and possibly also field like the Gydanskoye, East-Tambey and North-Ob. The project’s Front End Engineering Design (FEED) is reportedly to be ready by late 2018 and a final investment decision taken before the end of 2019. With the Arctic LNG 2, Novatek will boost its annual production of LNG to more than 34 million tons. That liquified natural gas will all be shipped out through Northern Sea Route, some of it eastwards to Asian buyers.